← Mask of Shadows is on sale for $1.99 today! 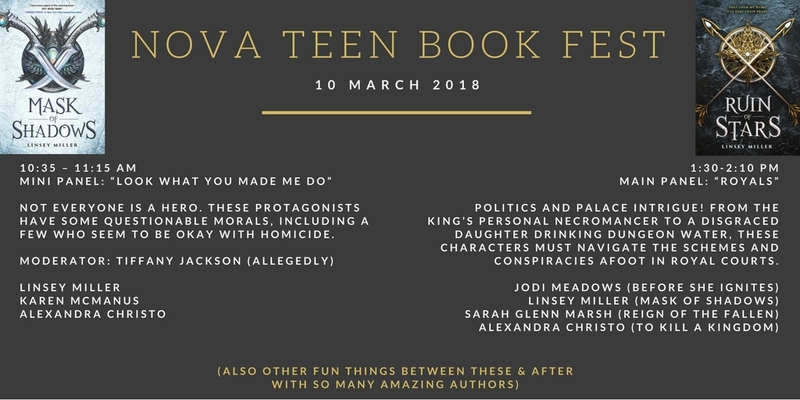 I’m going to NoVA Teen Book Festival in Arlington, VA! You can pre-order a signed copy of MASK OF SHADOWS here http://bit.ly/2Ev3iYt even if you can’t make it & find out more about the schedule here http://novateenbookfestival.com/schedule/ !